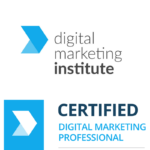 As an award winning Chartered Institute of Marketing accredited study centre of excellence providing an array of Digital Marketing & Social Media Courses and qualifications with an alumni of approx. 23,500 students who we have trained and certified (99% pass rate) we are often asked about referral schemes. 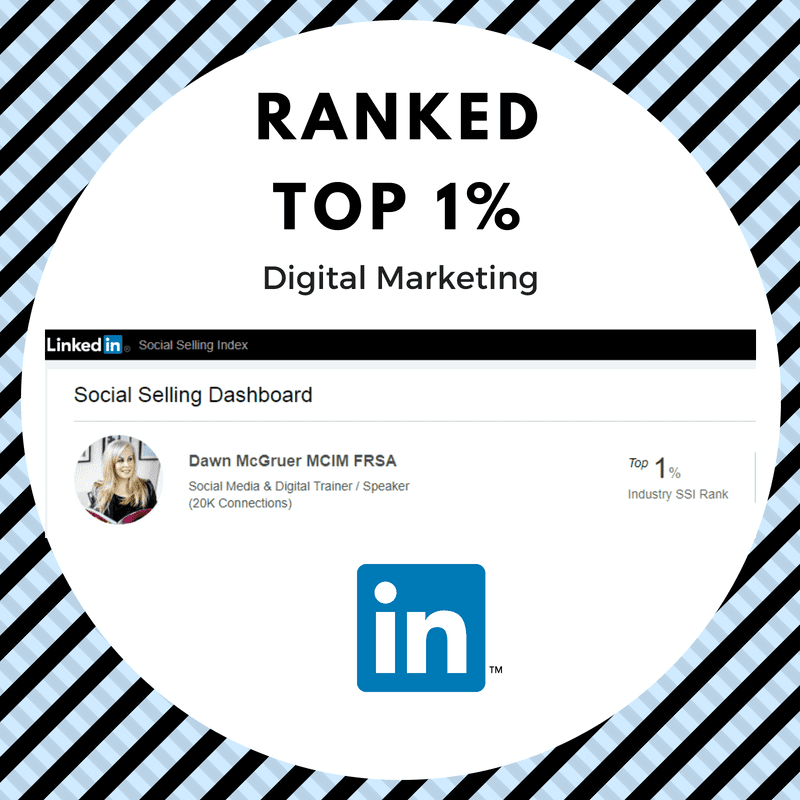 We have amassed a huge subscriber base of over 5 million so as it is only fair to share we decided to launch a brand NEW Affiliate Scheme for anyone who wants to refer a friend, colleague their customer or prospect base to develop their knowledge in one of the most demand skills in 2018 – Digital Marketing. Our Affiliate Scheme is FREE to join – We welcome anyone onto our scheme who would like to benefit from 20% commission on any sale attributable to their referral. 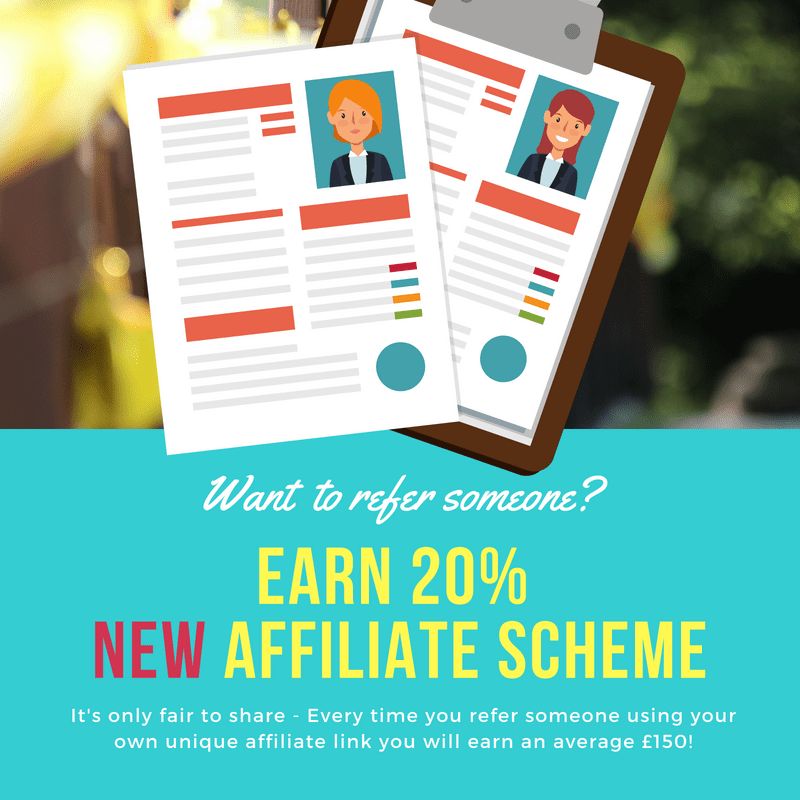 Our scheme offers the Affiliate Partners an extremely simple way of referring from social media, email or through any promotion of their own unique web link. Each Affiliate can access their own Affiliate Area to manage their referrals by seeing traffic and earnings. We pay out after 30 days from each sale and the 20% commission earns Affiliates on average approx. 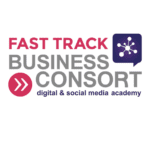 £150 + a sale so it offers a great way of earning from simply sharing a certified means of their network to up-skill in digital marketing or gain a worldwide recognised qualification. We are here to help so if you need any promotional or marketing materials our content team will be happy to create and share for you. Happy earning – Sign Up Now to join our free Affiliate Scheme and start earning straight away! It takes less than 60 seconds to sign up and generate your own unique URL to start referring. 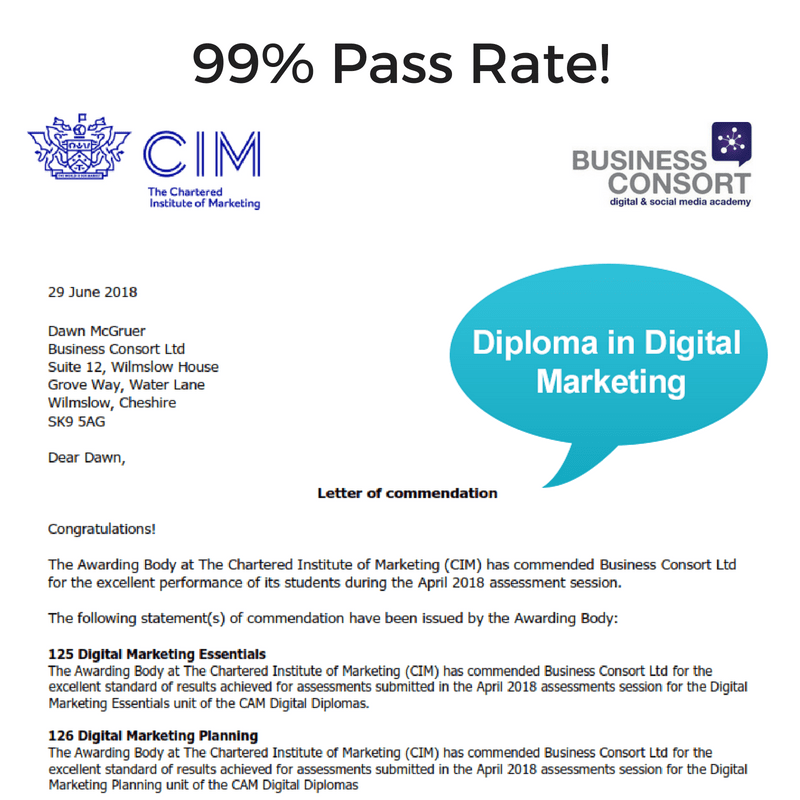 So today we celebrate our 13th Commendation from the CIM (Chartered Institute of Marketing) for outstanding results – It is such an honour to receive a commendation from the world’s largest marketing institute to recognise the success of our study centre and students studying the CIM Digital Diploma in Marketing. 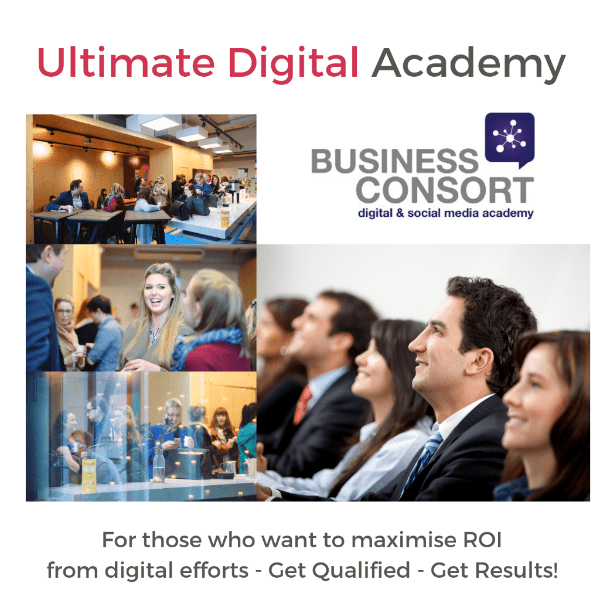 Our ethos as a business flows through to diplomas – We aim to not only get students qualified but to a level that they will become digital leaders and their success stories is in the results they bring their business not just in their own career development. As one of the only study centres who offer 1:1 assignment review and feedback and LIVE coaching and mentoring in our interactive study buddy group it is clear to see why we continually rank at the top of the leader table for our results. Studying a qualification not only requires support and interactivity and ultimately a a deeper understanding of digital techniques, trends, tools and insights but it must result in a student developing the expertise to actually be able to implement these digital techniques in a business or digital role – This is crucial! To follow up on the massive success of our 30 Day Digital Challenge hosted by founder Dawn McGruer we are hosting a FREE digital marketing event in Manchester – Dawn has been doing FREE 10 minute lunchtime learning tips and training sessions covering all the hot topics, trends and insights relating to Digital Marketing in 2018 LIVE everyday @ 1pm on Facebook – These 10 minute sessions are aimed at helping businesses grow and scale and use digital to their advantage to increase profits when there is still a huge digital skills gap globally. Dawn has managed to exceed the initial target of 1 million video views and has also been shortlisted as Marketer of the Year’ in the national CIM marketing excellence awards. 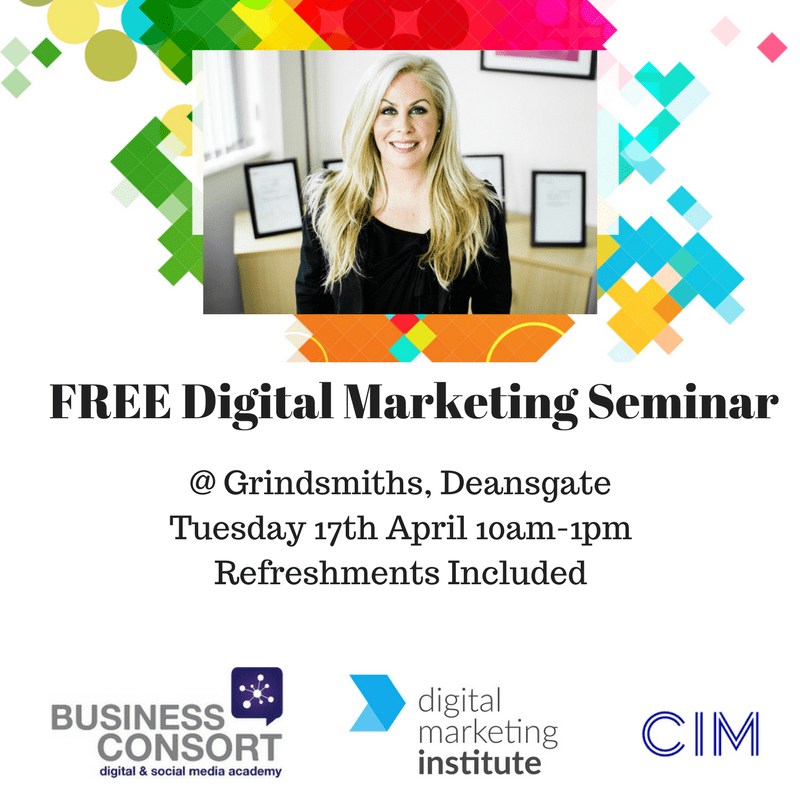 Places Limited – Book FREE Tickets Now! Convince & Convert: Getting web visits & generating leads is one thing but converting them to profitable customers is another. 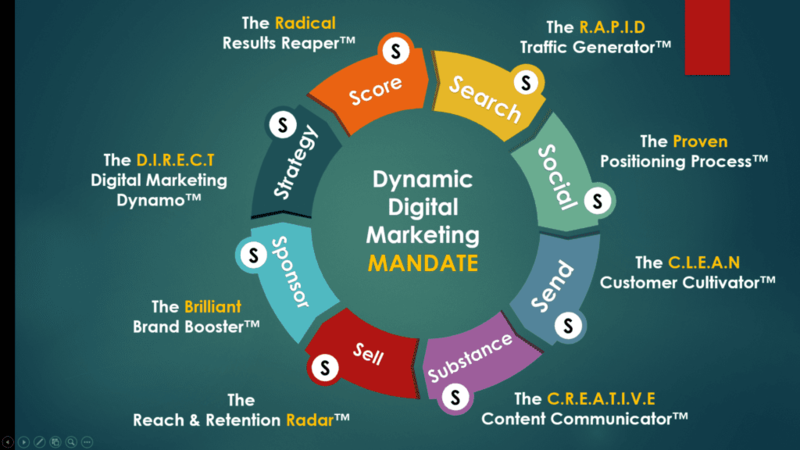 In the ever evolving world of Digital Marketing you will need to keep ahead of your competitors. 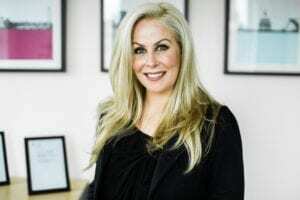 Dawn McGruer, founder of Water Lane-based Business Consort Digital and Social Media Academy, is in the running for Marketer of the Year at the Chartered Institute of Marketing Excellence Awards, which takes place on 12 April at The Grosvenor House Hotel in London. 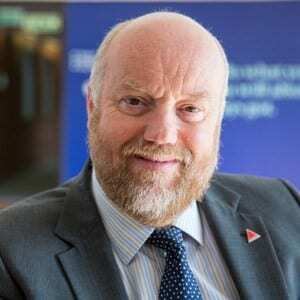 Also shortlisted in the category – which recognises the impact an individual has on an organisation, their creativity and originality – are experts from organisations such as Thomson Reuters. 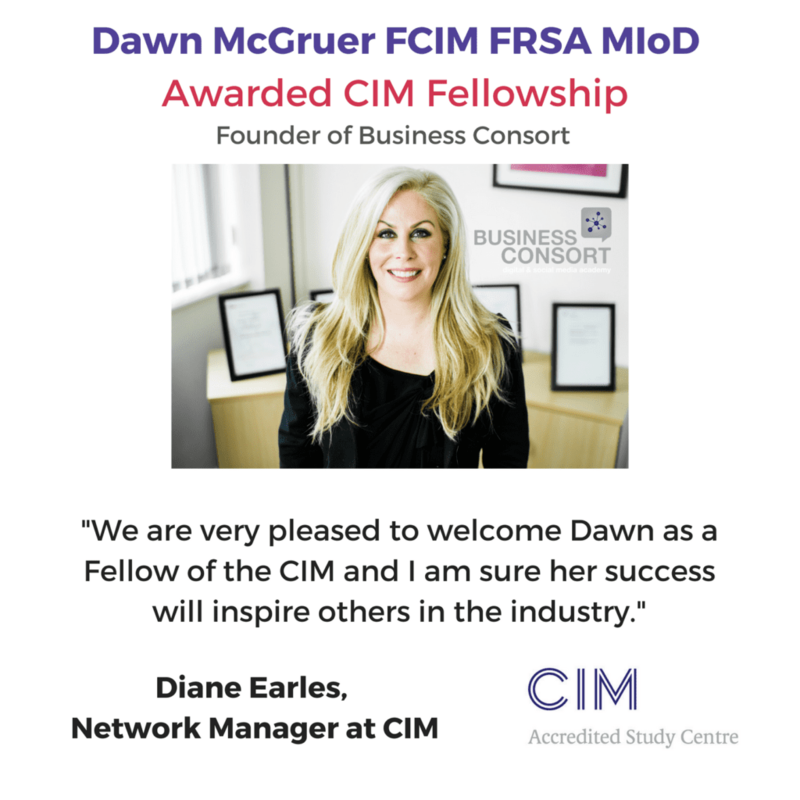 Dawn, who is also head trainer at Business Consort, said: “I’m extremely passionate about the world of digital and social media, and I’m committed to keeping up to date with new innovations, so to be the only North West-based business recognised by such a prestigious industry body as the CIM is fantastic. 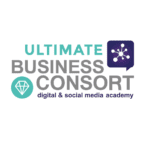 Set up in 2005, Business Consort offers training in digital marketing, social media, search engine optimisation, analytics, email marketing and MailChimp, with courses available as both face-to-face sessions in Manchester and London, and online seminars across the world. 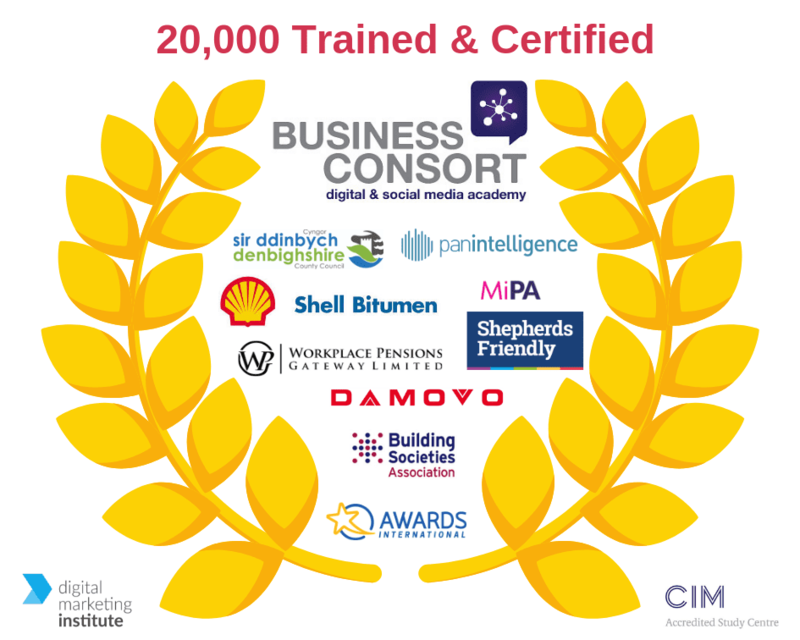 Among Dawn’s business accolades is a certificate in professional speaking from the Public Speakers University, as well as having Business Consort named as a CIM Centre of Excellence. 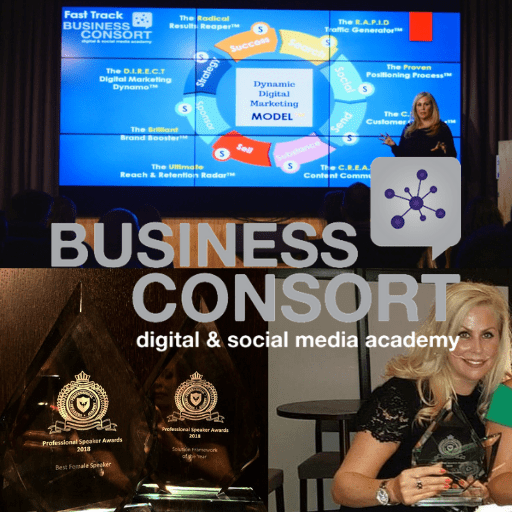 Dawn, who is also a fellow of the Royal Society of Arts (RSA), added: “Looking forward to this year, we’re confident that Business Consort will become the go-to trainer in all things digital for both employers wanting to upskill their team and individuals wanting to bolster their CVs and expand upon their existing knowledge.